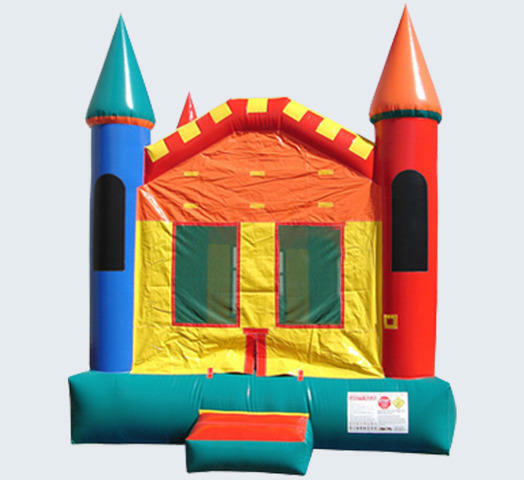 The perfect toddler bounce house for both boys and girls, the Bouncy Castle Bouncer is the way to go! Our units have the latest toddler friendly safety feautures available, such as a front step, knotless netted windows, tension entrance and more. 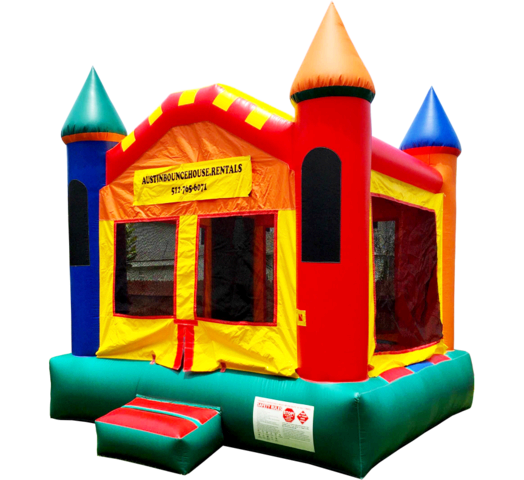 The kids will have a blast while the parents can relax knowing that their toddlers are safe! CAPACITY: 8-10 participants at one time. An adult MUST be present at ALL TIMES while unit is in use. PLEASE NOTE: Due to the low cost of this item, coupons are not allowed. Need Castle themed plates, napkins and party favors? Click here!